We can design systems to suit any need from the Pet Store owner who is looking at a recirculating system for their fish section, or to a family that has a Koi pond in their front/back yard. We have designed and implemented water treatment systems at fish farms as well as individual breeders of species of tropical fish and have also designed systems for other countries and example is listed below. 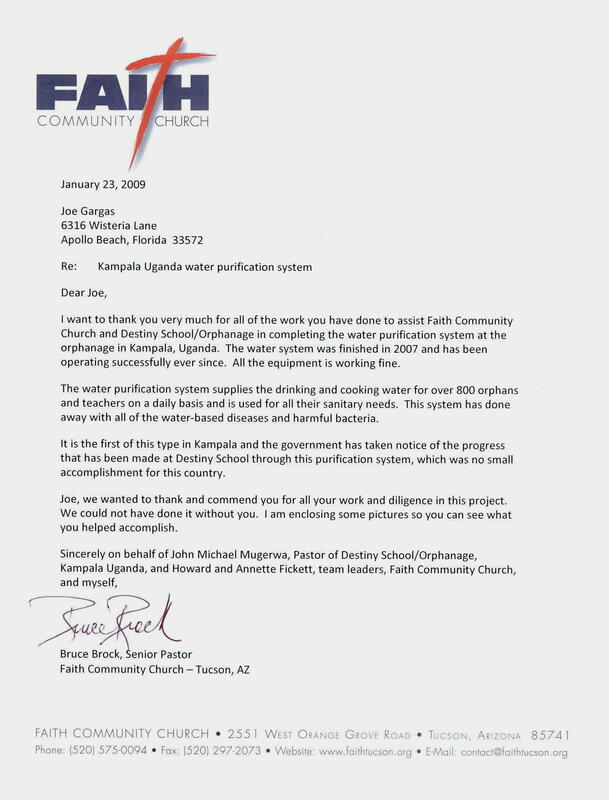 Back in 2005 we were contacted by Faith Community Church in Arizona that is a sponsor for the Destiny School/Orphanage in Kampala, Uganda which is in Africa. 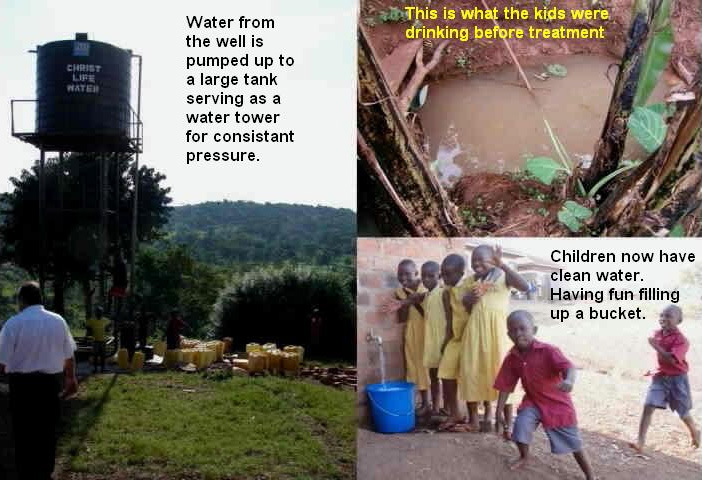 They needed assistance in developing a water purification system that would supply the drinking and cooking water for over 800 orphans and teachers on a daily basis and be used for all their sanitary needs. At that moment the children were having issues with water based diseases and harmful bacteria. Now the water system is finished (completed in 2007) and has been operating successfully ever since. | Low Conductivity Species | Product Page | Articles Patents Granted by the U.S.